Candidates Should have Masters Degree, B.Ed From Recognized university. SC & ST Candidates: Rs.300/-. 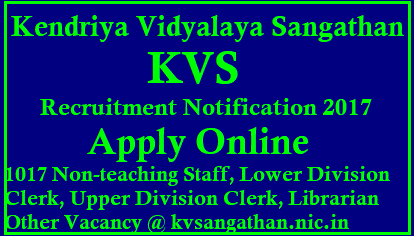 Candidates Have to Visit the Official Website of KVS Recruitment i.e,www.kvsangathan.nic.in.